Home / Parenting24seven / 6 - 12 Years / Child Safety Practices reduce Injury / How to teach my child about Stranger Danger? Q. In our area there was a concern that a strange man was approaching and talking to children at a local playground. The report was that he was trying to lure them away from the playground. The police were called and, though there was no one arrested they issued a general warning that we should all be careful in the local area and make sure to warn our children of the dangers from strangers and so on. My question is: how much you should talk to children about “stranger danger”. I have two girls aged six and eight and, generally, they are happy children. I have told them that they should only talk to people they know and that there are bad people out there. My older girl is a little bit of the anxious type and she tends to worry about things. She somehow picked up on the news about the playground and is now worried about going out. How much should I talk to her about things? I don’t want to scare her but I do want her to be safe. A. Probably the greatest fear for any parent is that our children will come to some harm and we will not be able to protect them. The possibility of child abduction or harm from strangers is probably a worst nightmare for many parents. When such cases happen they are particularly tragic and draw a lot of media attention and sympathy from families. However, we should assess these risks realistically and put these fears in context. Though incidents of child abduction or harm from strangers receive a lot of media attention, they are remarkably rare events, particularly when compared with other dangers. For example, in the last 20 years in Ireland and the UK, there has only been a handful of child abductions, yet in the same time many thousands of children have been killed or seriously injured in road traffic incidents, either as pedestrians or passengers. 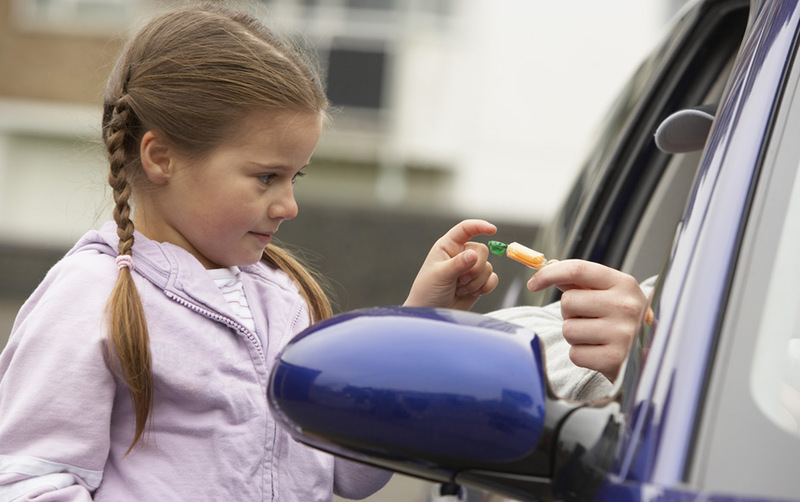 In simple terms, this means that children are thousands of times more likely to be harmed on the road than to be abducted and harmed by a stranger. While most children have a natural shyness from strangers, some children are more impulsive and can have little natural fear of danger, especially when they are younger. As a result, these children can be more likely to “wander off” or “go off with anyone” and could therefore be at more risk. As a result these children need much more parental supervision, as well as frequent warnings of danger and constant reminders of keeping safe. Luckily, many of these impulsive traits can fade as they get older and they can take on parents’ warnings. On the other hand, it is important to adopt a different approach with a child who is more naturally nervous or anxious, like your older daughter. Spending too much time reminding of them of danger may overwhelm them with anxiety and may be unnecessary as their natural fears would mean they are going to stay away from strangers anyway. In this situation, it may be more effective to talk through the issues in a more balanced way with your daughter. First, listen carefully to what she knows already about what happened and what her fears are. If she says she is nervous about going out, remind her of all the safety strategies she is taking such as staying with friends, coming in on time, as well as all the steps she could take if she felt in danger such as walking away, contacting you, going to someone trustworthy such as a teacher and so on. Finally, a core part of the school curriculum is teaching children about road and personal safety. Check in with your children’s school about the issue and when they are teaching the subject to your children – this is a good time for you to talk through the issue at home as well. In particular, the Stay Safe programme is taught throughout schools in Ireland and this teaches children in an age-appropriate way about protecting themselves from bullying child abuse and victimisation – the key message being “saying no and telling someone”. The Stay Safe website at staysafe.ie describes the programme and there is an excellent free guide for parents that describes in very practical terms how you can keep your own children safe. John Sharry, Irish Times Newspaper, June 26th 2012.